2m VGA Lead, Short VGA Lead / SVGA Cable. 2m VGA lead / SVGA lead. DVI Male to DVI Male Cable 10m (DVI-D Dual Link) - Sharpview for clear HD Video. 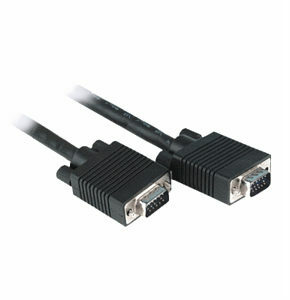 A high quality dvi to dvi cable for transferring, uncompressed digital video and control functions. Gold plated 24+1 pin DVI-D Male dual link connectors each end. Ferrite supressors fitted to both ends to reduce interference pickup. 10 year warranty against manufacturing defects. 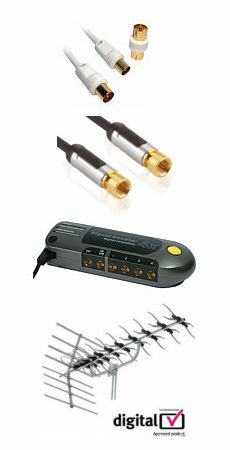 Ideal for connecting PCs and laptops to monitors etc.